Appearance: He is believed to extensively use disguises and plastic surgery such as baldness and scars, thus altering his appearance constantly. Head of SPECTRE (the Special Executive for Counter-Espionage, Terrorism, Revenge and Extortion), Blofeld is undeniably the most ingenious criminal mastermind of our time. Blofeld already escaped 007's best attempts to shelve the villain once and has since dropped off the radar. Despite James Bond's obsession to track Blofeld, the mastermind remains one step ahead. Blofeld is cocky and self assumed but with a poetic whimsy to every task he conducts. A lover of fine wine, poetry and women, Blofeld masks his short temper and bloodlust behind a suave, stately charade. "To begin with, I was born without earlobes, a well-known congenital distention of Bleuchamp ancestry - like the Hapsburg lip or the hawk-nose of the Medicis'"
Blofeld is in the midst of proving himself the heir to the title "Comte Balthazar de Bleuchamp" and is in negotiations with the College of Arms - blindly determined to prove the claim. 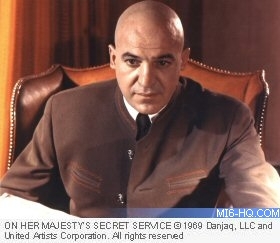 Despite this seemingly fruitless act, Blofeld has a horrendous scheme laid out to gain wealth and the title he desires. Under the pretense of a nerve and allergies specialist, Blofeld has opened an exclusive clinic high in the Alps of Switzerland. Selecting only the most gorgeous patients to "cure", in reality Blofeld is brainwashing women from around the world to respond to his voice, perform his every bidding and deliver the toxic virus Omega to the world - should the United Nations not rise to his demands to give him a full pardon for his previous crimes. Blofeld's specially developed virus will leave the world sterile with no hope of survival. 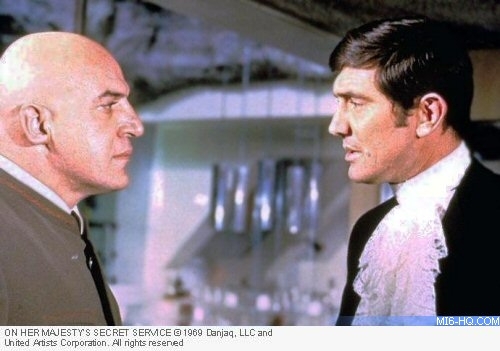 James Bond, under the guise of the stately Genealogist, Sir Hillary Bray, is welcomed to Blofeld's alpine clinic in order to assist in proving the villains claim to the title. On his second day, Bond is ushered to Blofeld's lavish office and coldly interviewed by the mastermind. The highest building for miles around, covered in ice and snow and fortified to the hilt, Blofeld's lavish clinic headquarters is unmistakable. The Piz Gloria building is perched 6,000 feet above a small village called Murren and divided into guests suits (each locked from the outside), the sunrise dining room and beneath the ice-cold rock, Blofeld's carefully guarded labs and private quarters. The complex also boasts a cable car station and helicopter pad. Blofeld travels via private helicopter to and from his estate - yet rarely leaves the clinic. This incarnation of the super-villain appears fit and strong and if the issue arises is not afraid to lead a high-speed ski pursuit. 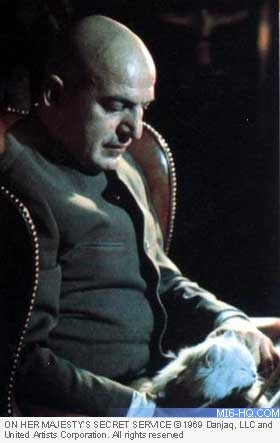 Preferring a more casual attire, Blofeld dresses in simple white shirts, brown or black high-neck over-garments and often a brown leather jacket. After raiding Blofeld's alpine outpost with the help of his father-in-law-to-be, Bond chases the arch-villain through the frozen under-paths of the mountain and finally onto the bob-course. In a violent downhill pursuit, 007 is hot on the tail of Blofeld until his bobsled rocks wildly out of control and Blofeld is lodged on a low-slung branch! He is last seen in the car with gun-toting Irma Bundt. Born to Greek immigrants Nicholas and Christina, on January 21st 1922, Aristotle "Telly" Savalas grew up in the heart of New York City. Growing up as second oldest of five siblings during the Depression, Telly's family struggled to maintain the great American lifestyle they had hoped for when emigrating from their homeland. Through these harsh times, and feeling relative strangers to the USA, the Savalas' survived on having such strong family beliefs. Like many of the era, Telly and brother Gus thought up new and innovative ways to help their family earn their money - the Savalas boys sold everything from newspapers to shoe-shining services to support the family. By 1940, Telly Savalas had graduated high school and for a short period worked as a lifeguard but bowed out of this profession after a nightmarish experience. From 1941 to 1946, Savalas served in the US Army, but unlike every other aspect of his life, Telly preferred not to discuss his career in the forces. He was, however, awarded the Purple Heart for his efforts during World War II. 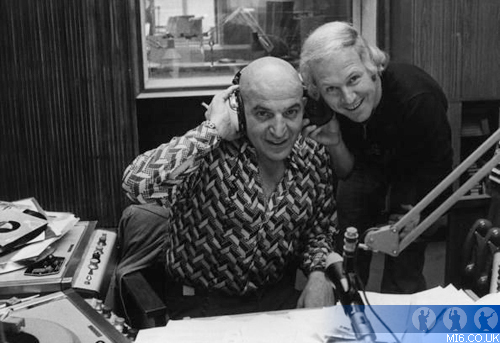 Savalas enrolled in Columbia University School of General Studies and took a keen interest in Radio and Television. In 1948, he graduated from university with a love for onscreen performance and entertainment, yet surprisingly didn't pursue his career directly. At age 28, Savalas got a job at a popular radio station hosting a talk show know as the Coffeehouse. In the 1950's, Savalas expanded his career onto the small screen, appearing in various bit parts in television shows such as: "And Bring Home A Baby", "The Untouchables", "The Man From U.N.C.L.E", and "The Twilight Zone". It wasn't until he was in his late 30s that he made the move to feature films, appearing in the likes of "Mad Dog Col" (1961) and "Birdman of Alcatraz" (1962) for which he was rewarded with an Oscar nomination for his character Feto Gomez. In 1973 Savalas began work on the TV production he would forever be remembered for. Telly played the hard-talking NYC cop Theo Kojak for 5 years and over 60 episodes. 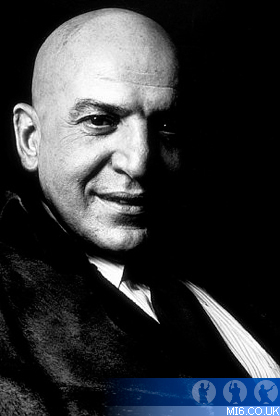 Although Savalas' career spanned 40 years and over 100 productions, he will forever be fondly remembered as Kojak. His last production was comedy "Backfire!" (1995) - released a year after his death. 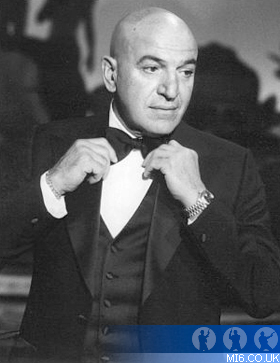 Telly Savalas passed away on the 22nd of January 1994, one day after celebrating his 72nd birthday with his extended family. Aristottle "Telly" Savalas was laid to rest in Los Angeles under the headstone inscribed: "The hour of departure has arrived, and we go our ways - I to die and you to live. Which is better God only knows."